This is my first post for Bizzy Bec's store blog as a DT member and I just wanted to share with you this Gor juss girl Holly. Gor juss stamps are mounted rubber and are on sale at Bizzy Bec's store at 40% off HERE. I have coloured Holly with copic markers & prismacolour pencils, the sentiment is also from Bec and it's a freebie. 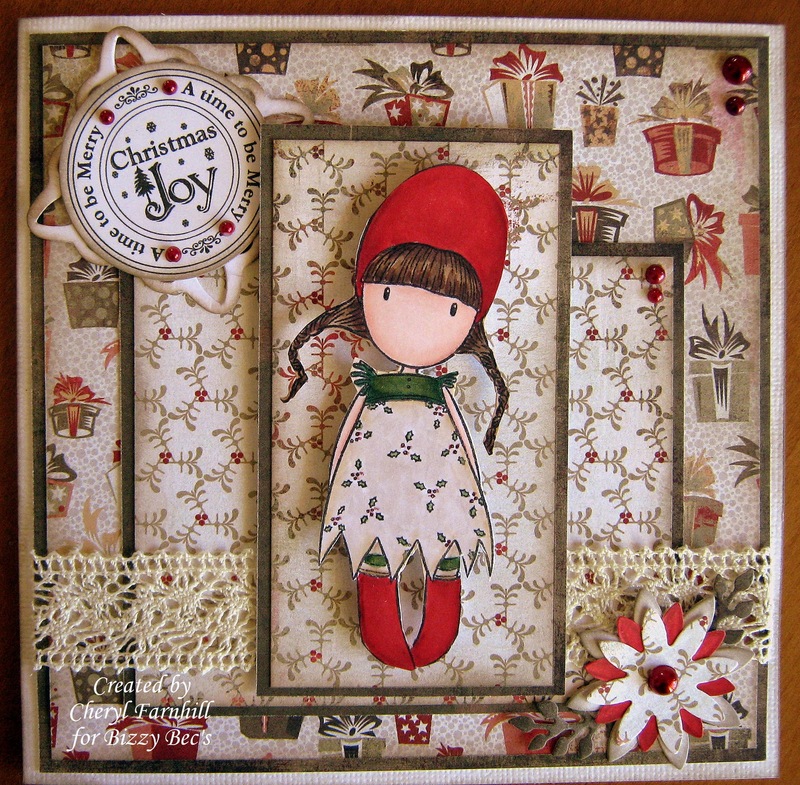 Thanks for stopping by , while your here check out our November Challenge " Circles" and don't forget to enter the blog candy for a beautiful Magnolia stamp from the new Sweet Christmas Dreams Collection , the candy closes very soon so you better be quick. This is such a gorgeous card..love the design and colours,it really enhances the pretty image and sentiment ! Oh wow ! so pretty girl, and papers are superb, love your card ! Gorgeous Cheryl! I LOVE Gorjuss stamps! You have done an awesome job with her. Beautiful colouring, this image is so sweet.